Update 11/20/2009: HWJapan upped the ante by selling it at 3,849 yen. 3rd party sellers at Amazon are selling it for about $$$. Update 11/12/2009: It's a lot cheaper at Amiami's site, about 4000+ yen. And the even better news is that Amiami started selling overseas already. 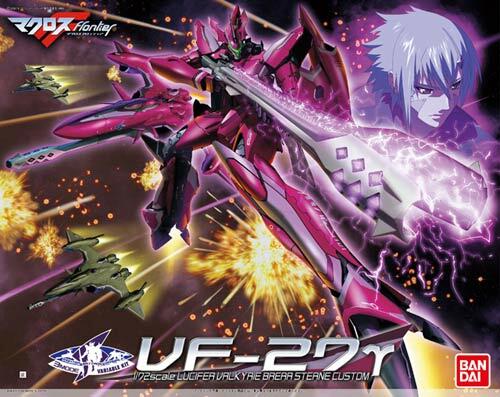 Update: Whoa, nice to see that Hobby Link Japan had put the VF-27 up for pre-order again after they had temporarily put it on hold yesterday (9/17/2009) till they could guarantee the volume that they would be getting from Bandai. They also posted there that they were expecting to receive it by November 31, 2009. Brera Stern's VF must be really selling like hotcakes right now so you guys better get yours! 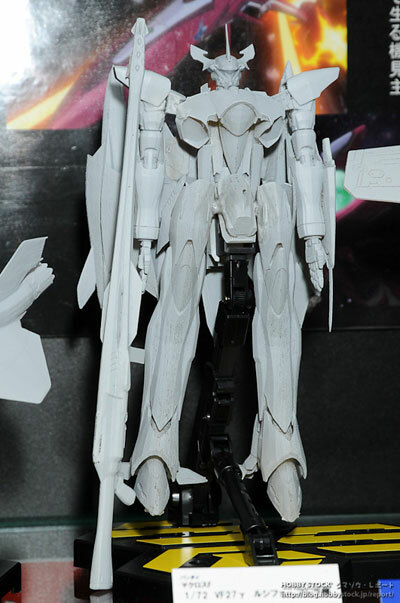 Just found out today that this fully transforming model kit of the VF-27 Lucifer from Macross Frontier is already available for pre-order at Hobby Link Japan and Hobby Search. Release will be somewhere around November. 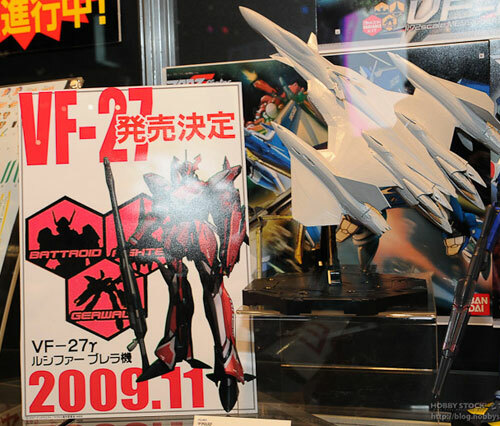 The YF-25 Prophecy meanwhile is available for pre-order at Over-Drive-Inc.
HLJ and HobbySearch are selling it at Y5,225 if you pre-order by Sept 18, 2009. After that it reverts back to the original price of Y5,500.